Now we can bundle this common js modules using browserify. 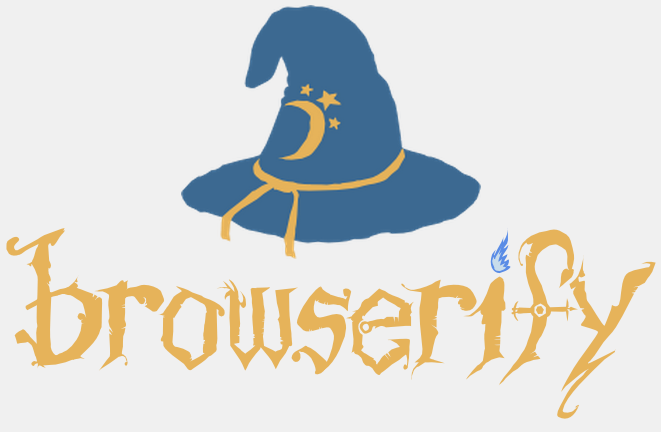 We will start with installing the browserify. Now we an bundle it using the browserify command. Now you can use the index.js in browser using script tag. If you want browserify to bundle each time you make change to source, you need to install watchify. Now you can watch and bundle each time you make changes to source. Tranforms can be used to convert source files like converting .coffee files or convert ES6 to ES5 while bundling. In order to to this you need to install tranforms like coffeeify or babelify. For transform ES6, you need to install babelify and babel-preset-es2015. Now you can use -t option to specify the transform while bundle. When you provide options for babelify make sure to put spaces around the [ and ]. You can also specify presets using .babelrc. You can find more information at babeljs setup. You can use browserify with babelify to bundle react modules as well. For that you need to install babel-preset-react. Now specify react along with es2015 preset in --presets option. You can pass the same options to watchify to watch and bundle the changes. We will discuss the browserify with gulp, splitting the bundles and making the bundling faster in the upcoming posts.